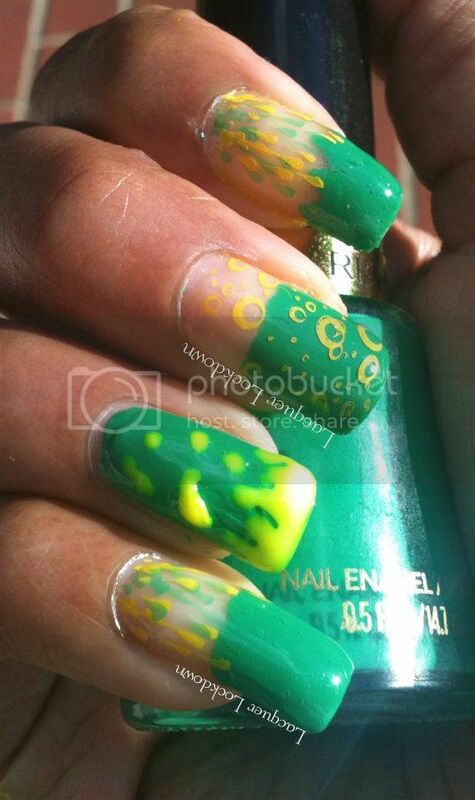 Lacquer Lockdown: Toxic Rain - On Sundays I Stamp! It has been too long! Let me apologize for my absence it's been a flurry of activity recently that has left me exhausted and uninspired of late. Also for some reason I have had fail after fail recently. Every time I went to polish my nails they ended up smudged or ruined in a way that I couldn't even start the nail art. It actually happened this time too but I decided to persevere. Finally I smashed my ultra large bottle of CND Stickey - the base coat I live by. Horrible! I'm hoping with this post my string of bad luck ends. So here we go! The theme for Adventures in Stamping this week was toxic or poisonous. How deliciously appropo with Halloween around the corner. I've actually done a toxic mani before which you can check out here, and it was somewhat the basis for this mani. 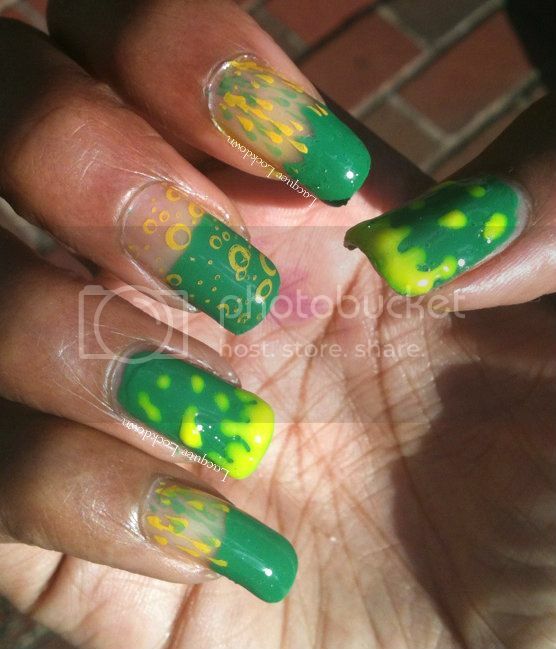 I wanted to create acid rain, chemical bubbles, and nasty neon drips lol! This sounds so gross when I read it aloud, but I think I accomplished what I set out to create. So what do you think? Welp it feels a little spooky and evil but I like it! Somehow it appears my AIS posts always save me when I'm in a rut. Thank goodness for that and thanks for reading! I'll see you next post. Toodles! Aww thanks you're sweet as always! This is gorgeous! I love the bright yellow and green together! Hehe thanks! It was really bold IRL too!